Why work with Heney Realtors? Start here: this website is built around what our customers and our clients want, and what they’ve asked for. Fill out a Property Profile to hone in on exactly what you’re looking for and search the Vermont MLS right from this website. Get an overview of the entire purchasing process, from offer through negotiation to closing, and read testimonials from satisfied buyers. Please take the time to learn about the people at Heney Realtors and about the towns we serve – maybe you’ll start to see yourself at home in our community. Buying a home deserves a high level of expertise. It’s a process that goes beyond looking at websites to learn about the population, major employers, and average rainfall (or snowfall) of an area. You want to know what it’s like to live in a school district, a particular town or even a specific neighborhood. That’s what a local real estate company can provide. Then, it’s a matter hearing what you, as a buyer, want and need from a home and location. 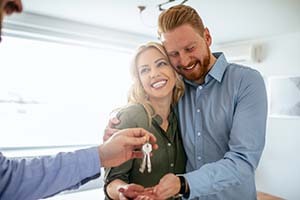 Of the hundreds of homes for sale in the area, when you think carefully about what you and your family want, a select few will be great candidates. You and your Realtor will work together to help refine your home search. You’ll know all the steps that are involved in buying property and when each step has to happen. If you need a good plumber, landscaper, real estate attorney or anything else throughout the buying process, we can point you to reliable people. There’s always some stress involved with buying a home. You deserve to work with Realtors whose experience, knowledge and professionalism reduce that stress. You can add to the conversation through our active blog, see what we’re up to on Facebook, or sign up to get automatic updates when selected properties come onto the market. Or, contact us! We’re still big fans of our landline.